Are those bars of baking chocolate in the photo???? Take a closer look…yes, those are bars of baking chocolate. Or, maybe you were wondering about the word chili and seeing the spaghetti noodles. I know…this is all kinds of confusing. Especially if you’re not from the southern OH area. Or have never heard of, or eaten at, Skyline Chili. 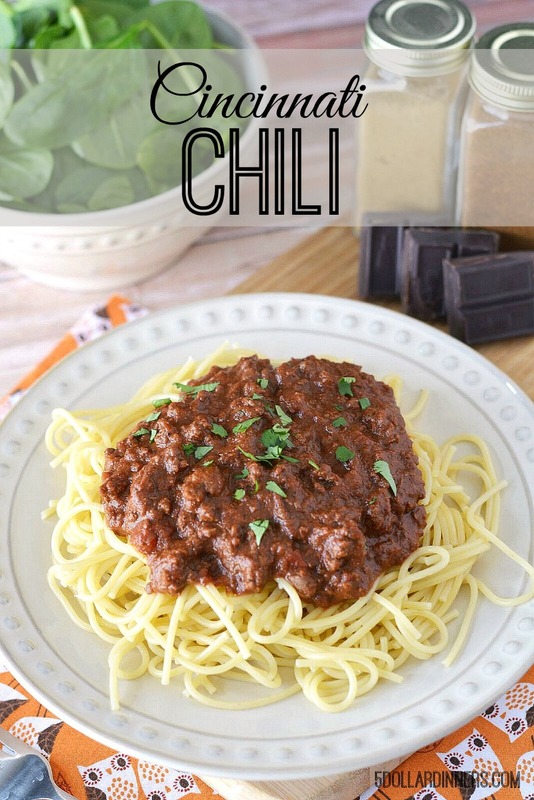 This is a traditional “Cincinnati Chili” – made with chocolate, cinnamon and allspice. But it is CRAZY GOOD. And if you want the real “copycat” experience from Skyline, then you’ll be topping this chili over spaghetti with raw chopped onion and a PILE of thinly shredded cheddar cheese. Yes, PILE. Slow Cooker – low for 8 hours. Instant Pot – manual, high, 30 minutes. Recipe below is written for skillet/saucepan. But you can easily adapt, as suggested above! Open and drain the can of crushed tomatoes. Chop the unsweetened chocolate. In a large saucepan, brown the ground beef with the minced onion and garlic powder. Drain and return to saucepan. Stir in the drained crushed tomatoes, Worcestershire sauce, chili powder, ground cumin, cinnamon, allspice and chopped unsweetened chocolate. Saute for 5 minutes, then reduce heat and simmer for 10 minutes to allow the flavors to mingle. Season with salt and pepper to taste. Cook the spaghetti pasta, as directed. 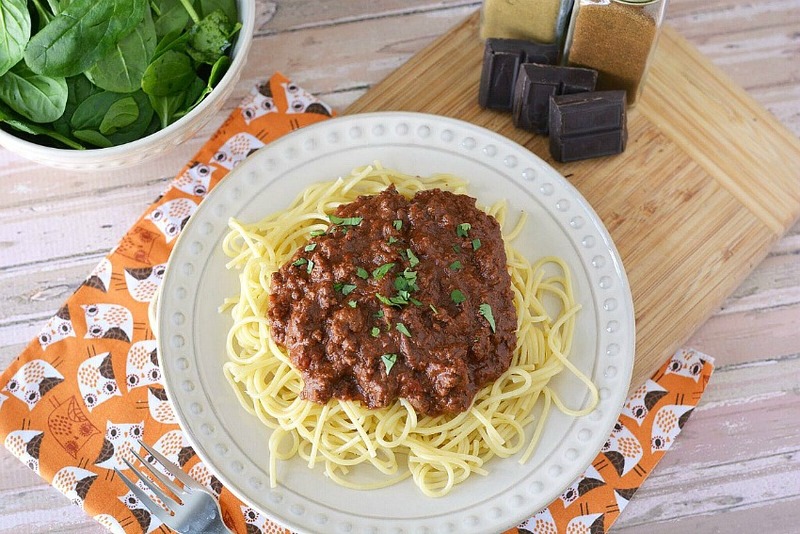 Serve Cincinnati Chili over spaghetti with salad.